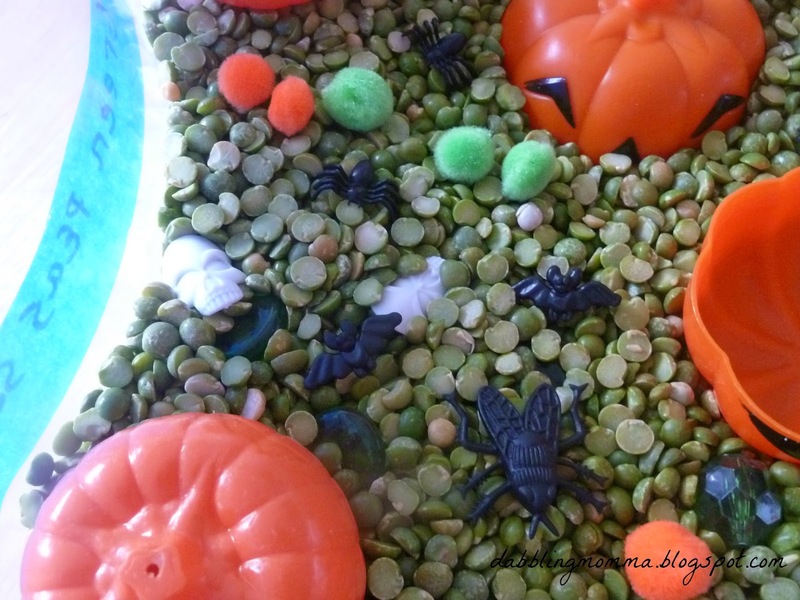 This is a super engaging and fun activity to set up in anticipation of Halloween! At the time I made this bin my son was 9 years old and my daughter was 4. Because of the gap in age the activities I share may not always be suitable for both of them. However, this is one they both really, really enjoyed. Actually, much to my surprise my almost 9 year old stayed with this sensory bin longer than my 4 year old! 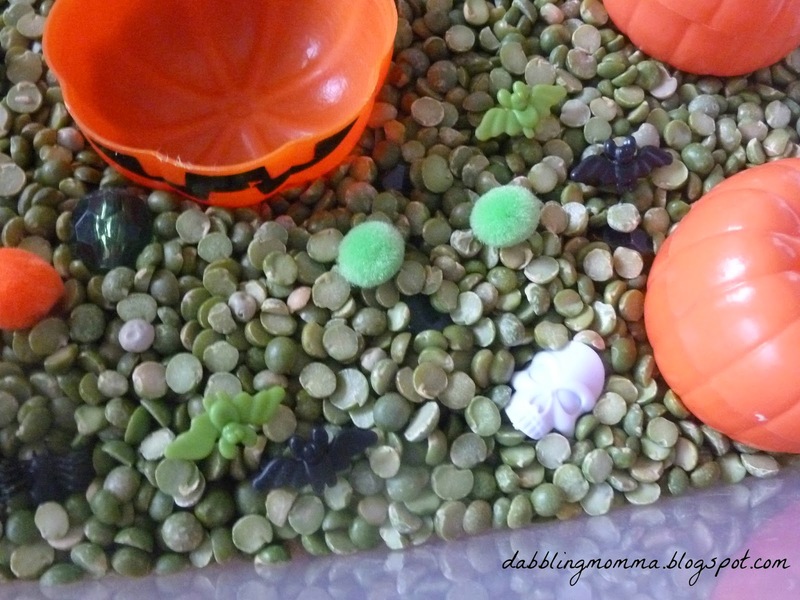 It was interesting too seeing which part of the sensory bin drew them in. My daughter was automatically drawn to the gems and after a few minutes of the bin asked for the bottle we use when we play with water. 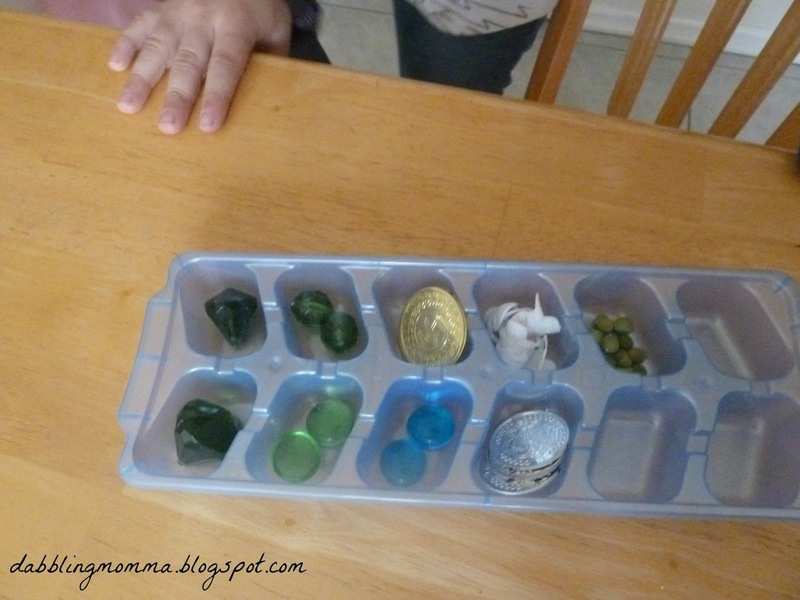 She began filling up the bottle with the gems that she found hidden in the bin. My son on the other hand also went to the gems but the bigger ones and began counting them out and telling me how much 'money' he had. 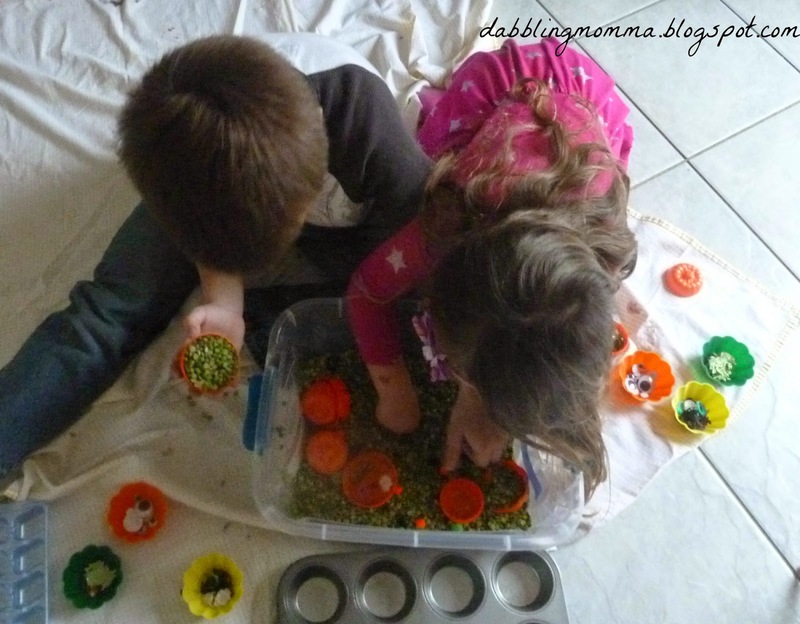 I love watching and listening to their play to see where an activity, especially with sensory bins, will take them. 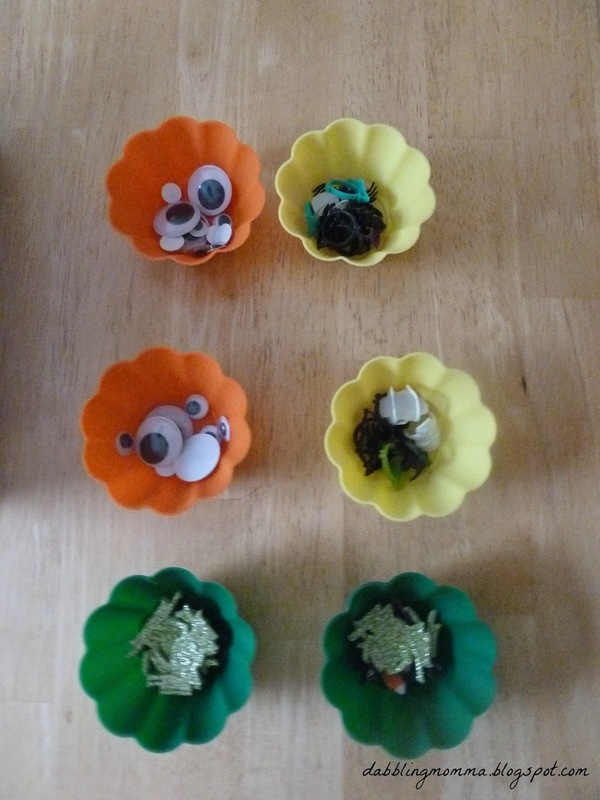 My son filled the little pumpkins and also counted and sorted the jewels the coins and the plastic skull rings. My daughter played with the activity for a fair amount of time. 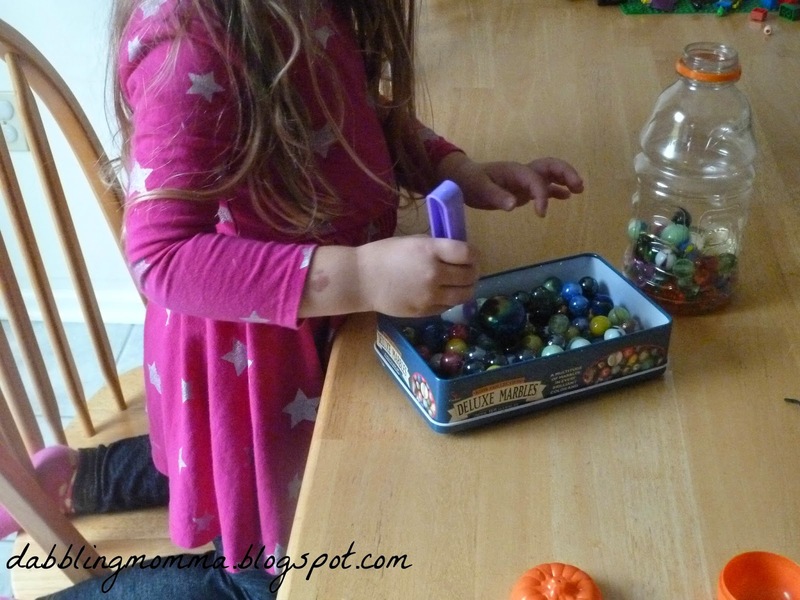 However, the gems caught her attention which must have made her think of her marbles because she was off on her own using her tongs and adding marbles to our sensory bottle. The best part for me though was watching both of my kids enjoy an activity together. These were extra's that were available if the kids wanted to add more in. 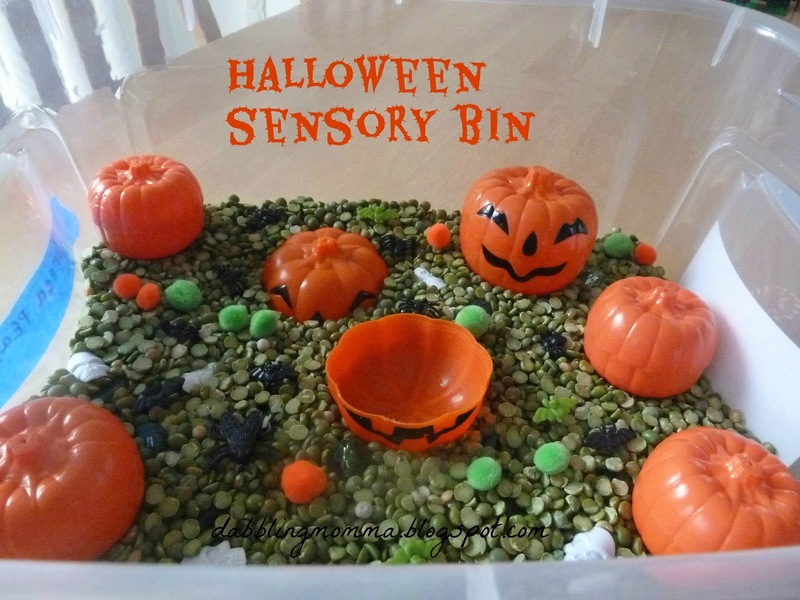 This looks like a fun sensory bin. 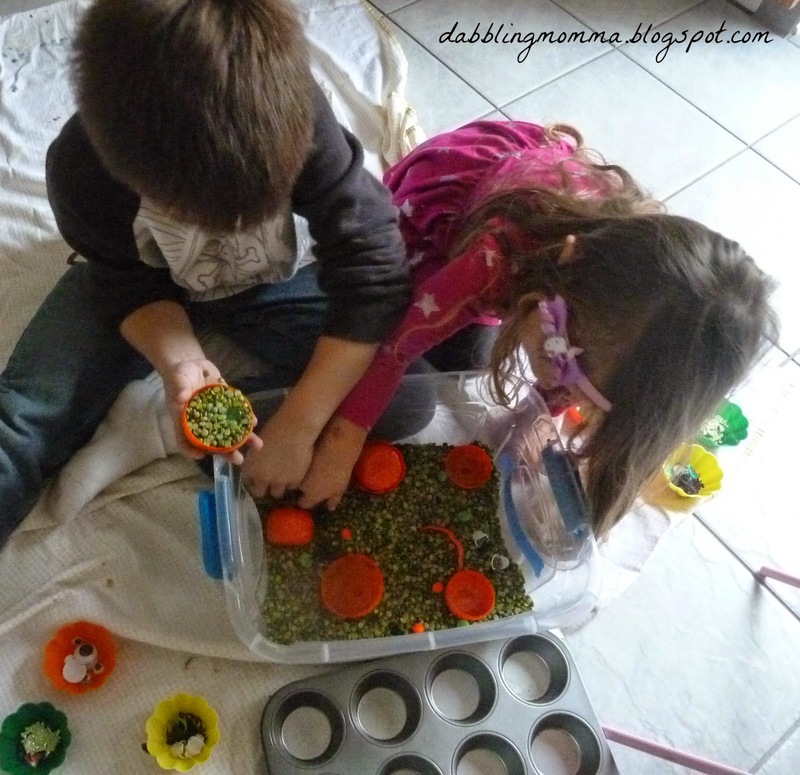 My older kids enjoy sensory bins also and it is always fun to see what they take from it. Hi Natasha! This is so true. Since my son does not usually get involved as much with our sensory activities I was curious to see how he would take to it. I loved that he had so much fun with it and am encouraged to try with him again. It's always fun when they can play together! Neat :) I like that your older son was also interested. People tend to think bins are only for the littles but kids of all ages like to run their hands through things and explore. So true Sheila! Even I get caught up in some of these bins, lol!! 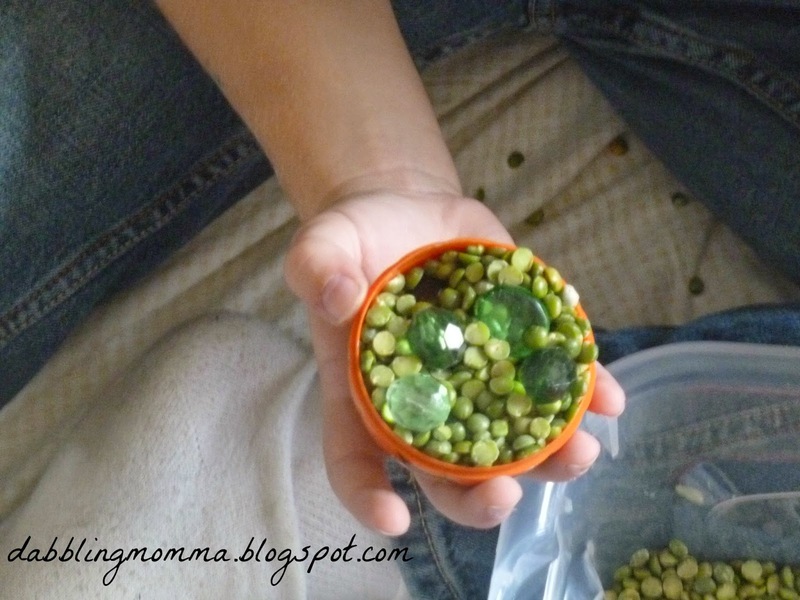 It was interesting Eileen to see how each of my kids played differently with this activity~! Thanks Cass! I was glad my kids had so much fun with it! Thanks so much! It was fun to put together too!! What a great activity! Thanks for linking up at the Thoughtful Spot Blog Hop this week! Thanks so much! My kids both really enjoyed it!